As far as good weeks go, last week was up there with the best. My head is full of inspiration. I cannot stop thinking about everything food related! 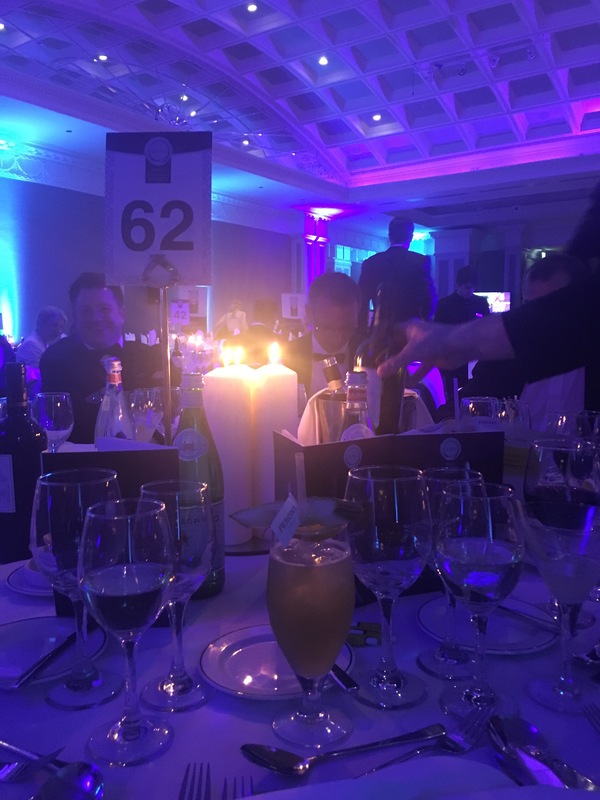 Last Monday we went to the finals of ‘The Irish Restaurant Awards’ in Dublin. It was a very elegant even; strictly black tie with a 6 course meal, prepared by the best chefs in the country. All my food heroes under one roof. It was overwhelming. I got very nervous. I was surrounded by the best in the country, by people I admire, faces I see in magazines… And we were there. We won “Best Kids Size Me” in Munster a couple of months ago, and we had a chance to win an All Ireland award. I really didn’t have any expectations, or hopes that maybe…. 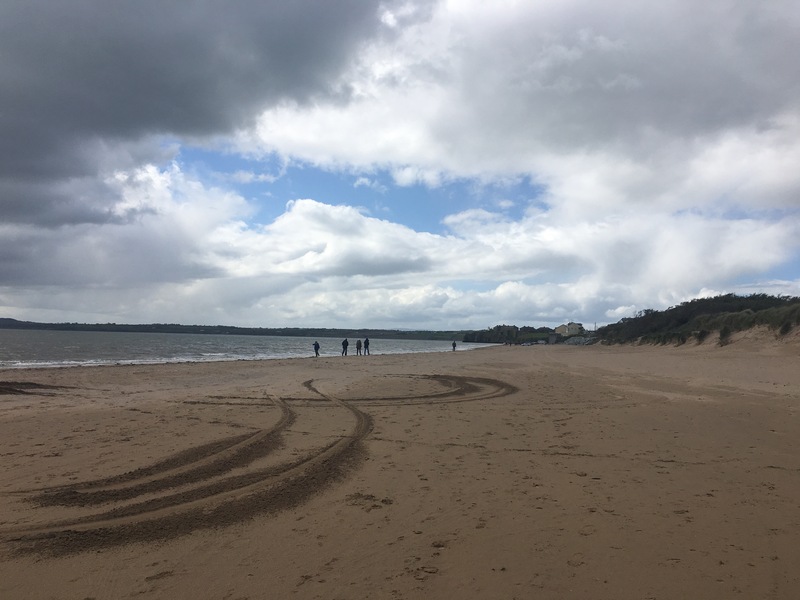 Being around The Best in Ireland was good enough – I thought. Every single course was absolutely delicious. I still cannot get my head around how can you serve soup for 900 people – hot and with perfectly crunchy croutons. A few hours in to the evening and we won! 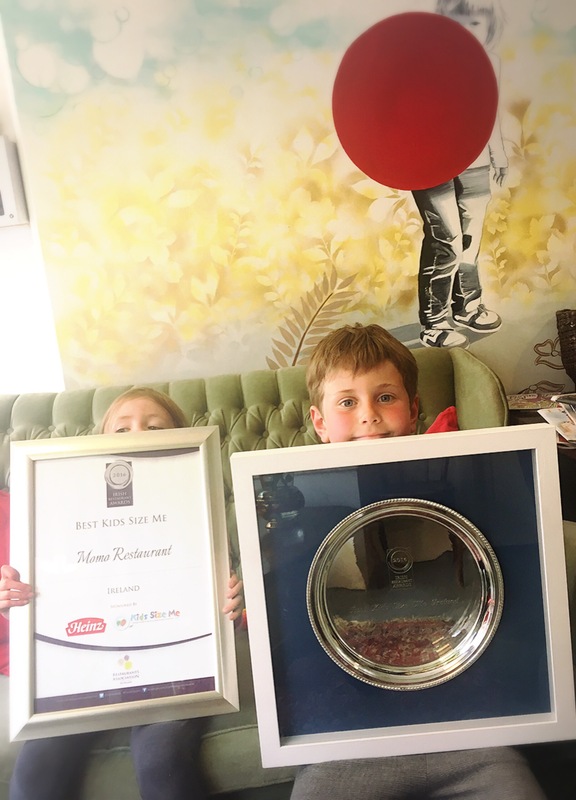 We won All Ireland”Best Kids Size Me”! I couldn’t believe it. I nearly cried. Overwhelmed with pure joy. Proud of our Momo team – we did it. I won’t lie. 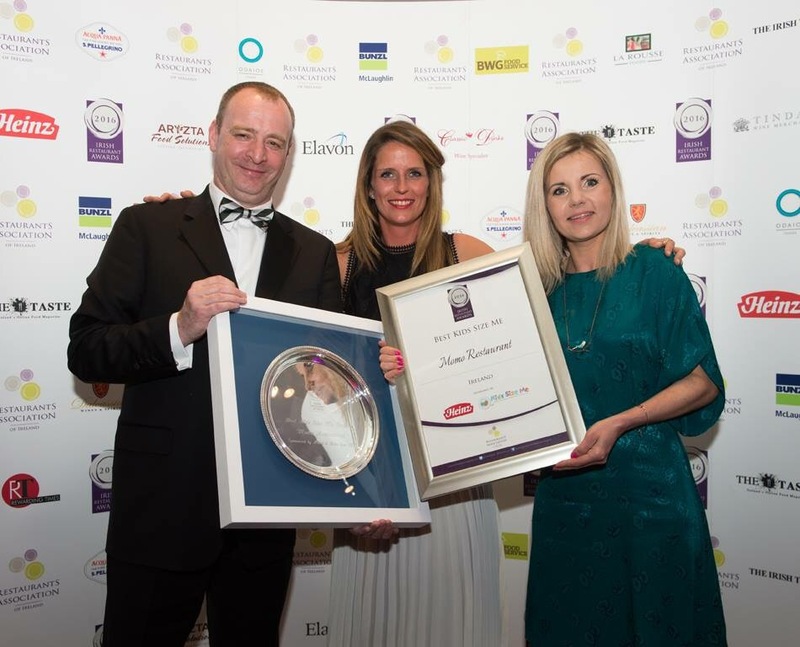 Maybe it looks easy to run a restaurant, winning awards and so on – but it is not. When your work is recognised by specialists in the industry – the feeling is incredible. When we told our children that we won – seeing how happy they were made all the hard work worth it. We have to thank them for the award. They inspire us. Children are our future. Our responsibility is to feed them well, teach them and give them a right start in life. When we opened Momo and were doing our first children menu we decided to respect the young ones and give them the best food that we could; nothing processed just the same dishes as for the rest of our guests. It drives me crazy, when I go to eat out with my young ones and the kids menu is filled with rubbishy, processed food (chips and nuggets)…. I think they deserve to get the best food – or at least as good as we get. Respect young diners. They are going to grow up and might come one day with their children. It’s up to us to give everyone the best experience we can. I still remember going to the restaurant with our little ones and not being able to have a dessert because they were so bored and started to cry…. I just wanted a cake. 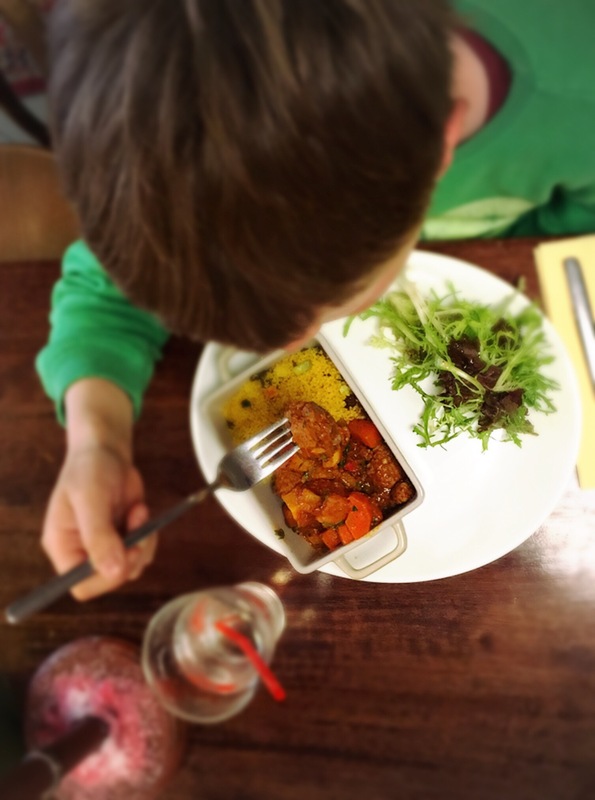 We can help parents to enjoy the meal out with children a little bit more by making everyone feel important and looking after all the little needs. Sometimes it is just some bread for the hungry one or glass of water for a very thirsty and tired mother. And real food for real people! Make it interesting, pretty, tasty and healthy. A little bit of vegetables won’t kill anyone. Respect for the young diners, for our children, for the future. It is our job to do things a little bit better, to eat better, move more and look after our planet. To give a good example. To care. We take little steps in what we believe is the right direction. We offer children natural, ‘made in Waterford’ cordials with sparkling water instead of sugary, fizzy madness. We make our own ice cream, and sometimes in funny flavours so our guests have to guess them. Butternut squash and parsnip are full of natural sweeteness! We are adults, we can make a difference. We can show the direction we believe is right. Ireland is full of incredible produce, very talented people, beautiful nature and a new generation of young people. It is our responsibility to give them a good start. Yes, I’m so proud and happy. I’m full of new ideas and inspiration. We are just back from Balymaloe’s LitFest (a food and drink literacy festival) and my head is full of deep thoughts about our future. Where we are going? What can we teach our children? How can we look after our planet and can we be just a little bit nicer to one another? Today I’m going to bake our first sourdough using the starter we got in Ballymaloe from Riot Rye Bakehouse Bread School with our children. It is all about taking little steps.